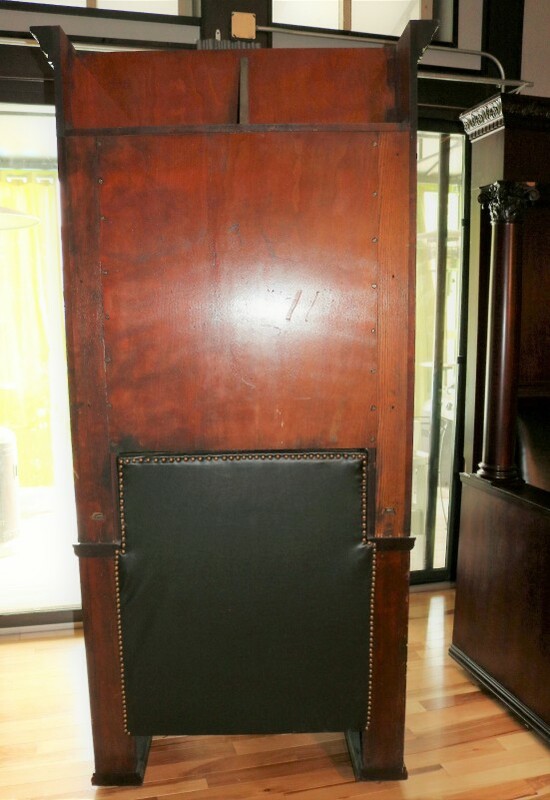 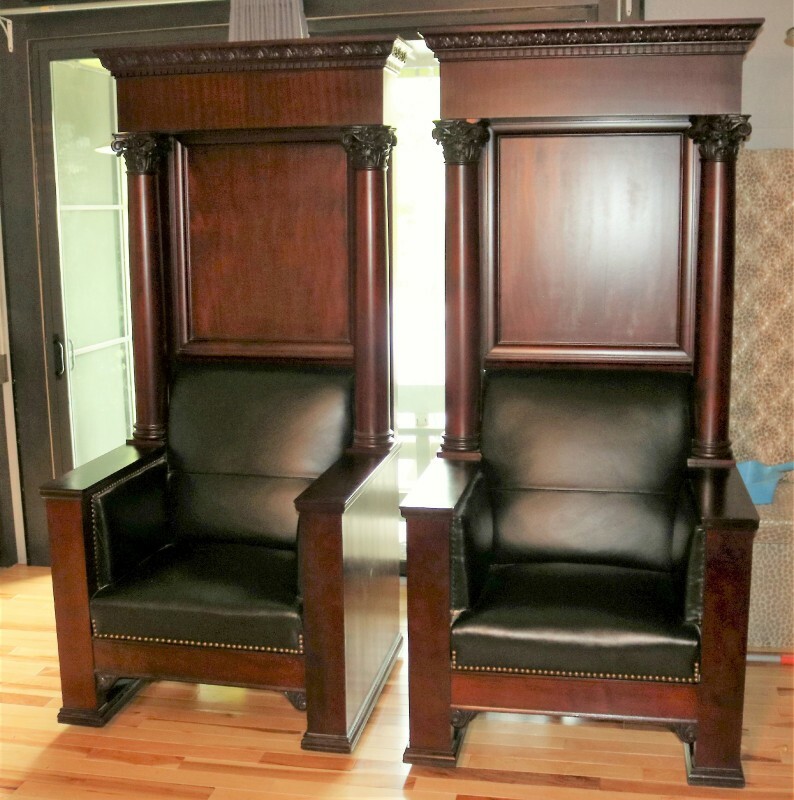 These thrown chairs are circa 1870 - 1890's and can be the center point to any room. 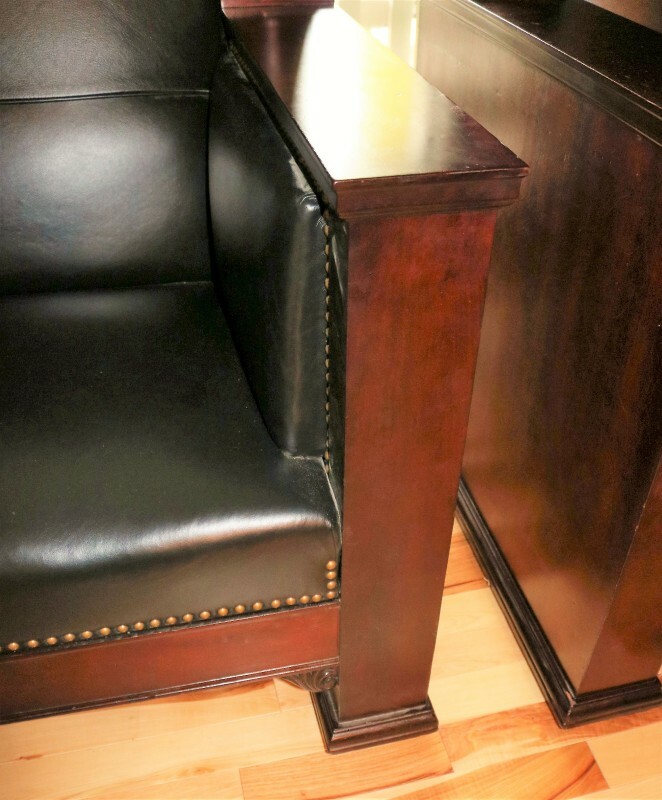 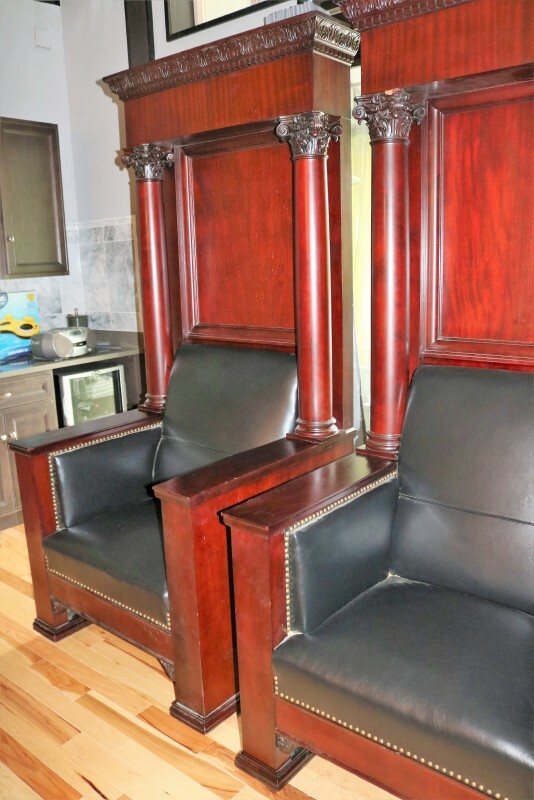 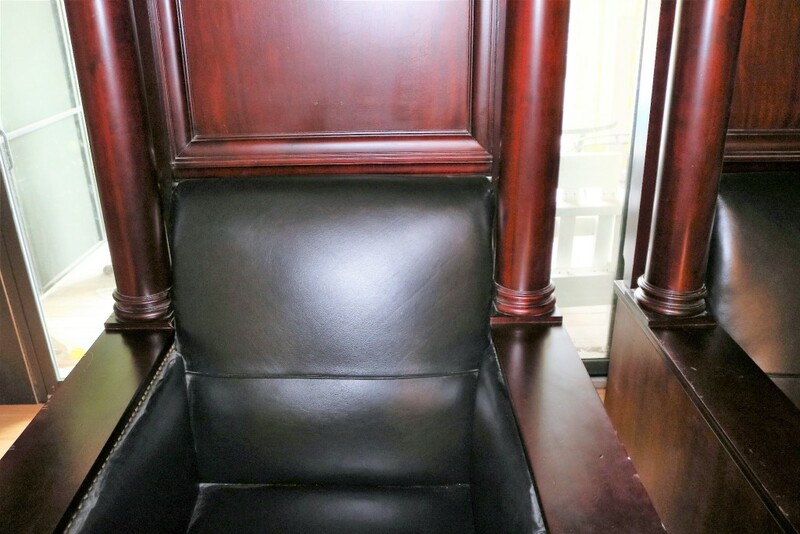 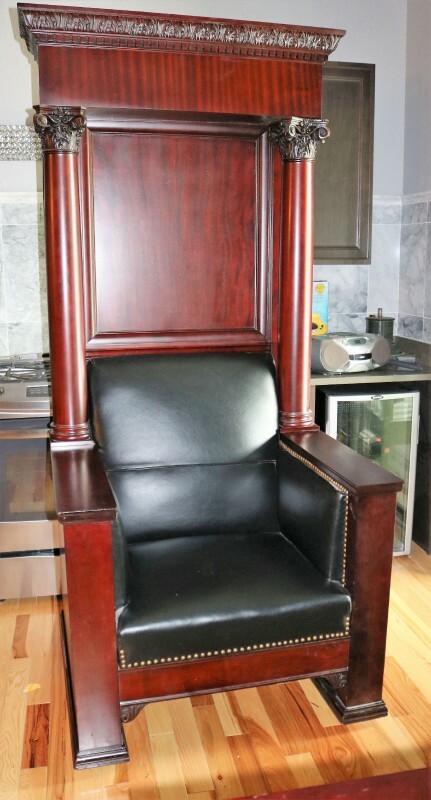 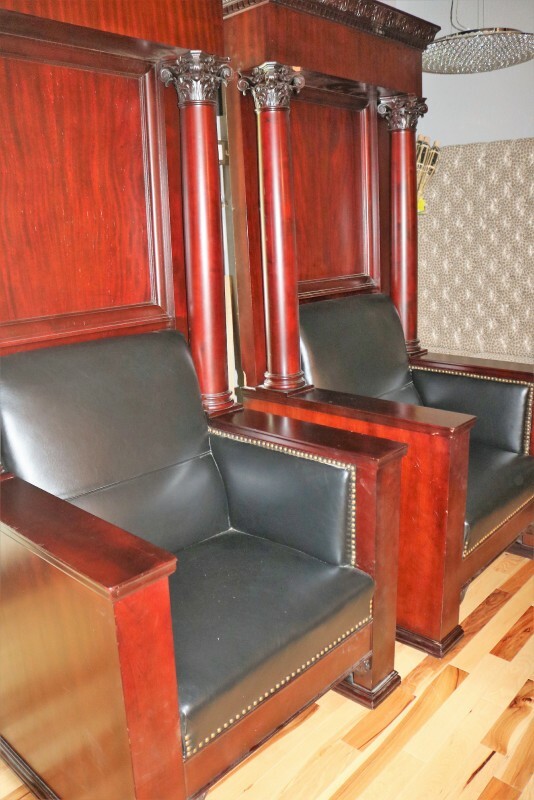 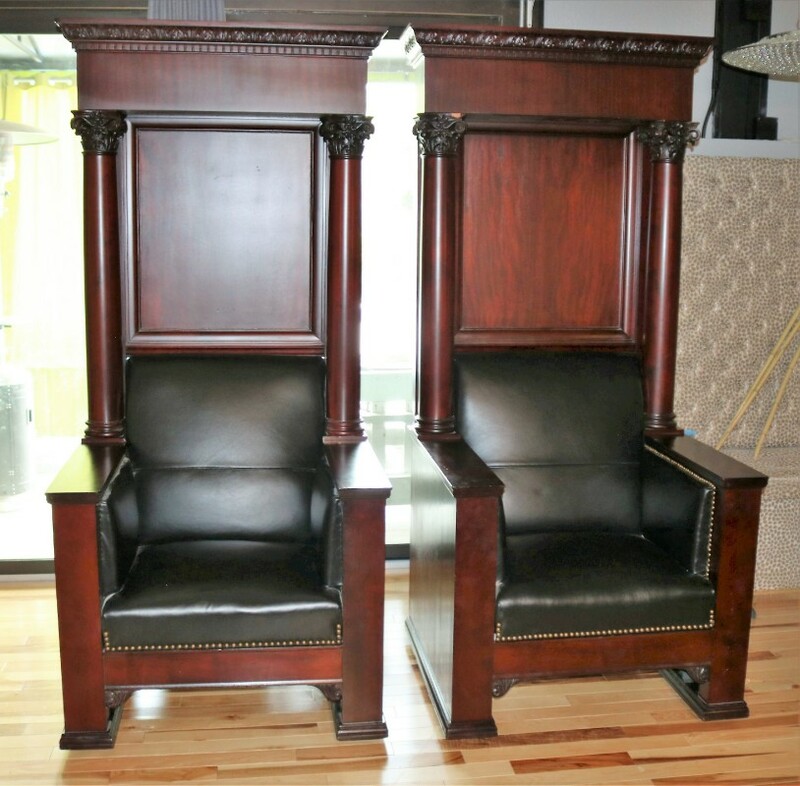 These chairs have been expertly cleaned and waxed, and have been reupholstered in high-end Italian black leather. 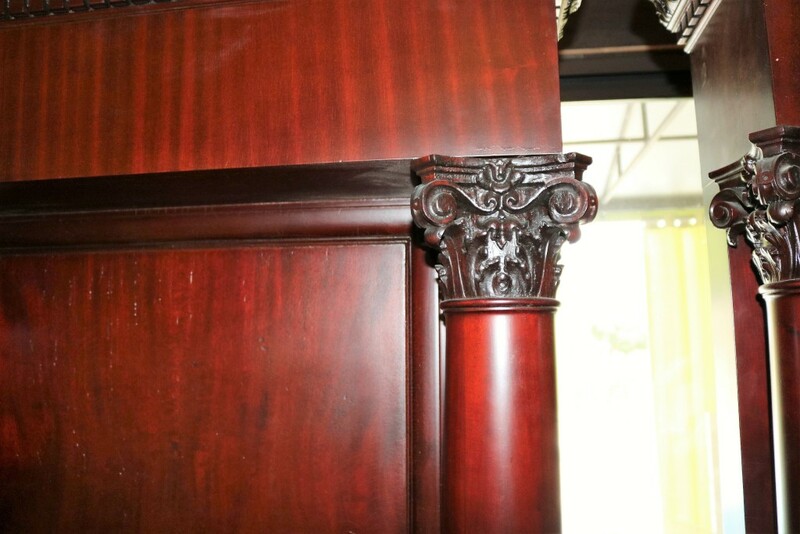 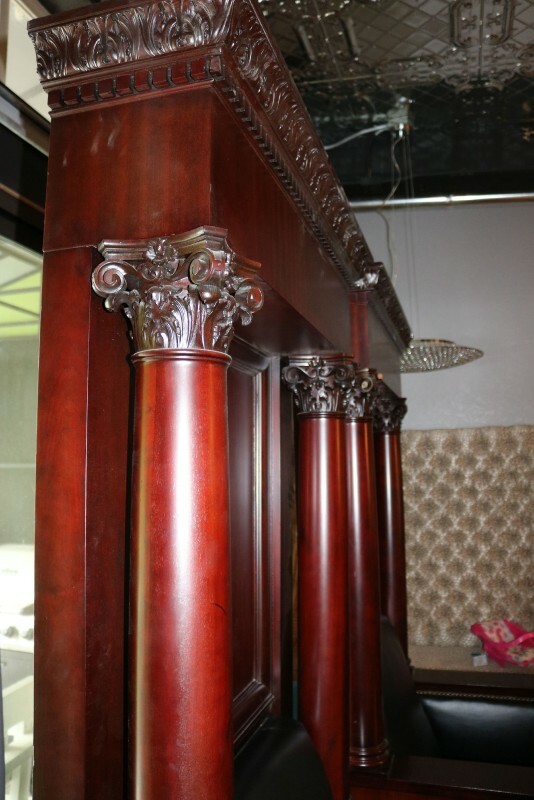 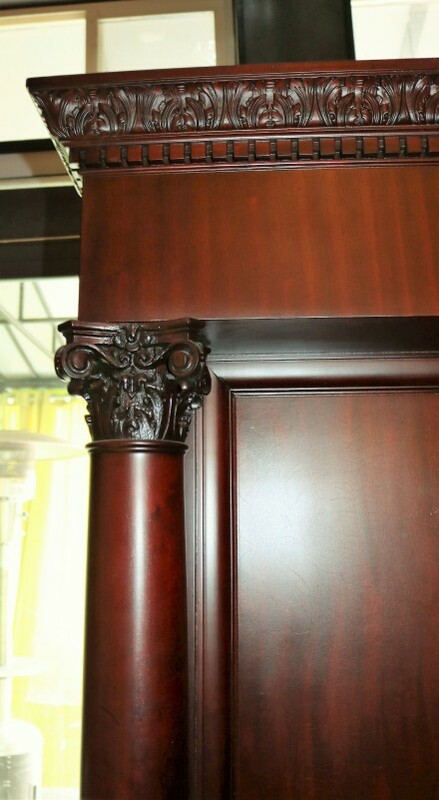 You will oftentimes see pieces attributed to Horner from around 1880, though the reality is that his shop wasn't producing until several years later.